Excavation works by TBM 3 concluded earlier this week, completing the 960-ring Woodlands Bound tunnel between the Upper Thomson Launch Shaft and Caldecott Station. 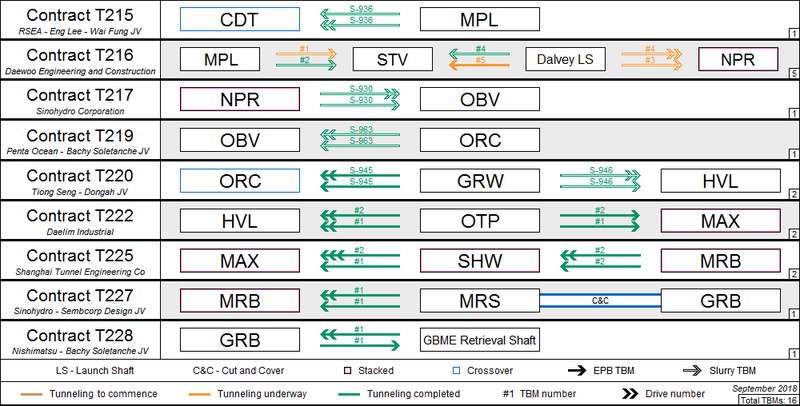 TBM 2 will similarly arrive in a month's time, thereafter concluding tunnelling works for the first 2 stages of the line. Casting of the station, entrances and ventilation structures are progressing, with basic structure of the station targeted to be achieved after the next quarter.